Let Sea Dog's "Keys Expertise" Work For You! Fish For Sailfish, Marlin, Tuna, Dolphin, Wahoo, Cobia, Snapper, Grouper, Tarpon And More On One Of Our Spectacular Boats! The Offshore & Deepsea Fishing Specialist For The TV Shows "The American Outdoorsman", "Manny Fernandez's Rod & Gun Club" and "Adventures In Paradise". Captain Purcell is a USCG 100 Ton Licensed Master Captain. 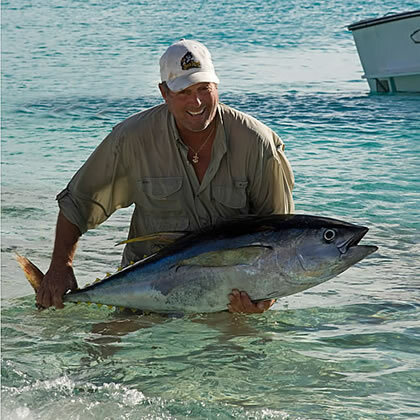 The Sea Dog family has been living and fishing the Florida Keys since the 1950's, beginning with Web Purcell. Their first boat, the Virgalona was used by the famous treasure hunter Mel Fisher to salvage the Atocha. Throughout the years the Sea Dog family has owned and operated commercial fishing boats as well as charter fishing boats. Now operating a busy charter fishing fleet, Sea Dog Charters usually has three boats out on the water each day... this keeps us abreast of what's happening, giving our captains a distinct advantage. Local knowledge and experience combined with a love for fishing gives the Sea Dog crew what we consider "KEYS EXPERTISE." 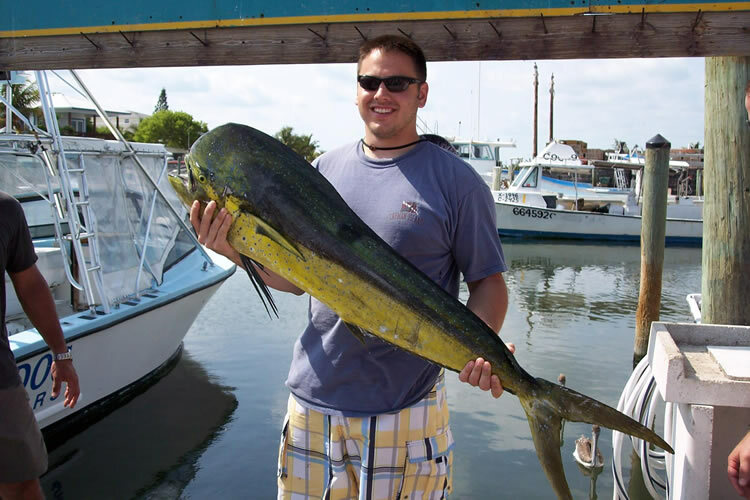 Let our Keys Expertise work for you on your next Florida Keys fishing charter. Look for us in Marathon at Mile Marker 47.5 Bayside! 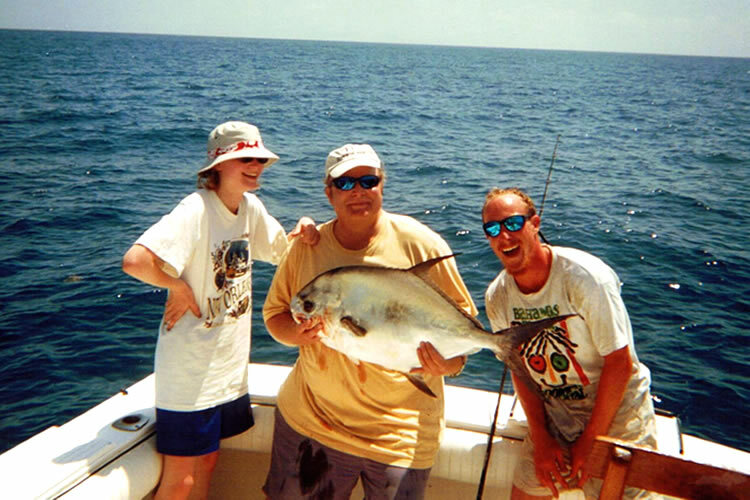 Fish a full or half day aboard one of Sea Dog Charter's professional vessels. We are conveniently located at Sea Dog Marina next to the Seven-Mile Grill restaurant at MM 47.5, bayside in Marathon... The heart of The Florida Keys. 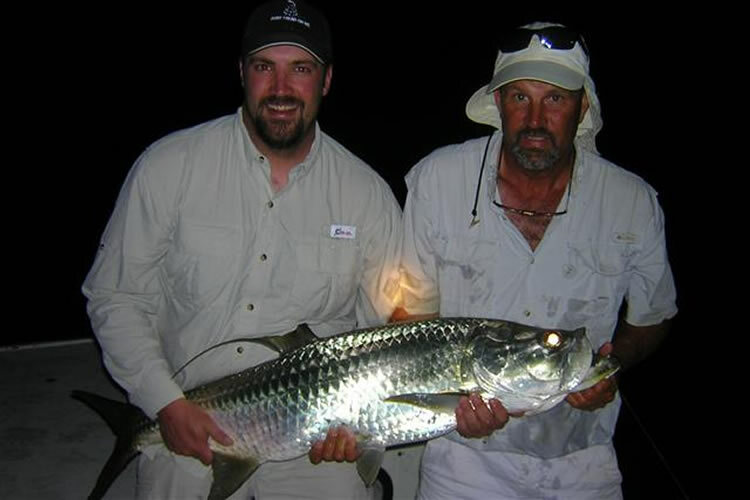 We supply all fishing licenses, bait, tackle, expertise, fish filet and a fun fishing experience. All our boats are well equipped and comfortable vessels with heads. 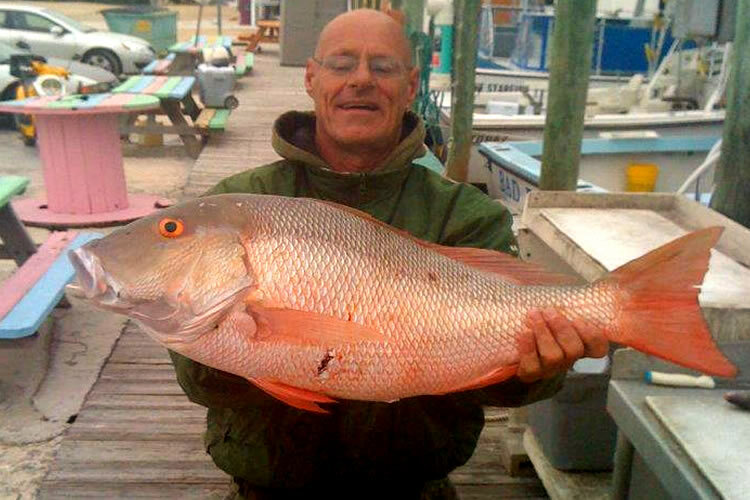 We take you out to exclusive fishing spots and show you how to fish in the Florida Keys! 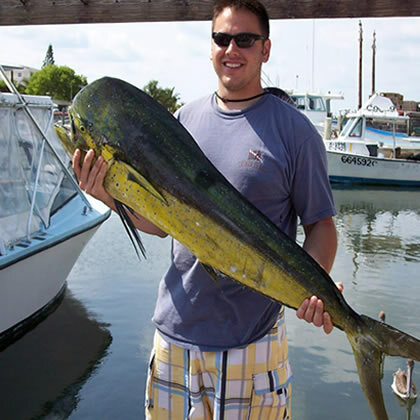 Enjoy fishing under the famous Florida Keys Seven Mile Bridge, the Bay in the Gulf of Mexico, or try Offshore fishing in the deep blue waters of the Atlantic Ocean. Reef and wreck fishing is one of our most popular charter experiences. 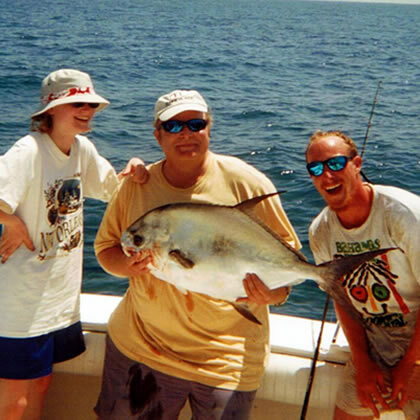 Experienced angler or not, our Captains and Mates are there to assist you in having a good time while catching fish...or catching fish while having a good time. We can bait your hook, take off your catch and replenish your hooks, bait and sinkers. All you have have to do is reel them in! Plus, we clean your fish for you at the end of your excursion for FREE! First time anglers, small children and advanced anglers are all our specialties! IF YOU CAN'T FISH WITH SEA DOG, STAY AT THE DOCK!!!! Fish the deep blue waters of the gulfstream at depths up to 2,000 ft. for tuna, dolphin, wahoo, sailfish, marlin, shark and more! Fish for tasty snapper such as yellowtail, mangrove & mutton. 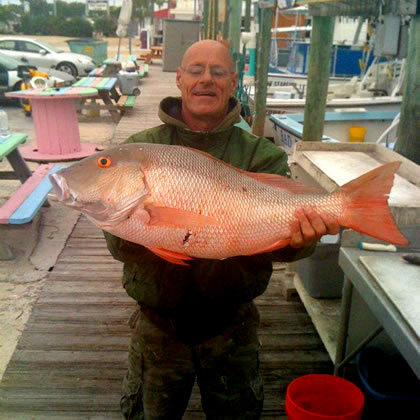 Catch grouper, mackeral, shark, barracuda and more. Fish around the famous Seven Mile Bridge for these hard fighting fish with incredible leaps and acrobatics... HOLD ON TIGHT! 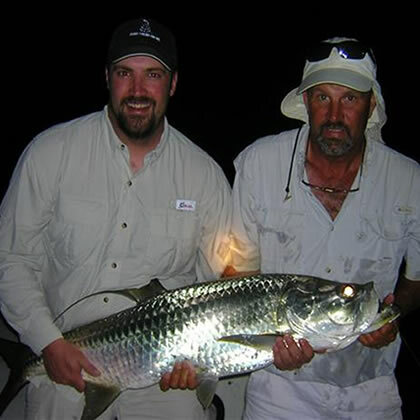 Tarpon, spanish mackerel, and mangrove snapper are some of the species found in the Florida Bay and The Gulf of Mexico!